The mobile users of the Household Census application in Zambia reached the milestone of 2 million individual registrations on 3 August 2018. They have also now registered more than 660 000 households. This a significant achievement in just 14 months since going live on 25 May 2017. 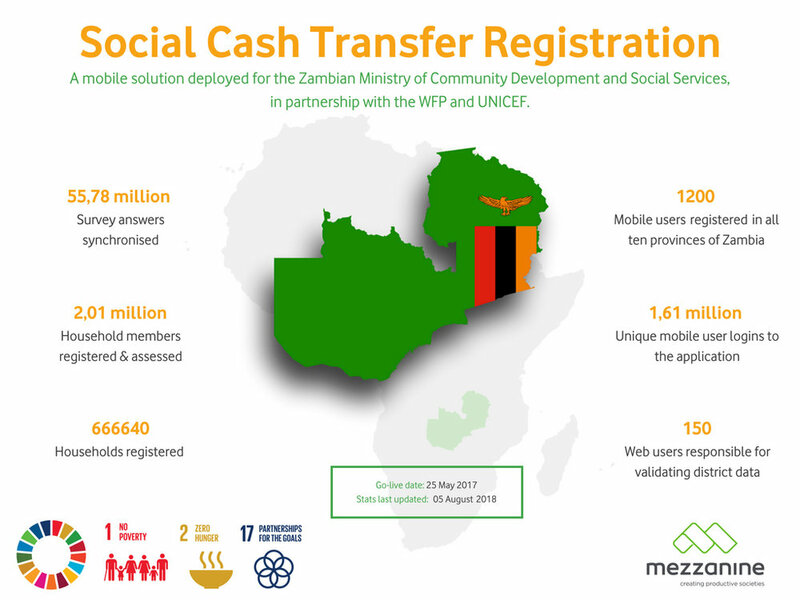 The 1200 mobile users, called Enumerators, cover 108 districts in their task of registering and identifying the most vulnerable communities across Zambia. The data is validated by District Social Welfare Officers using the Mezzanine web portal. Beneficiary households are then identified and the cash payments are scheduled for Paypoint Managers. Read more on the SCT project in this GSMA blog post and in this article on the Mezzanine website.